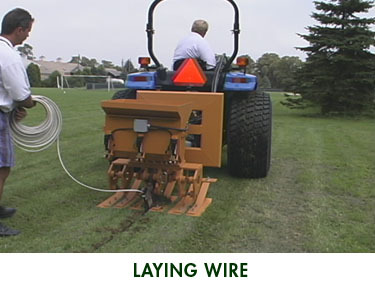 The WaterWick® innovative 5-point hitch system lets you tackle more turf projects. 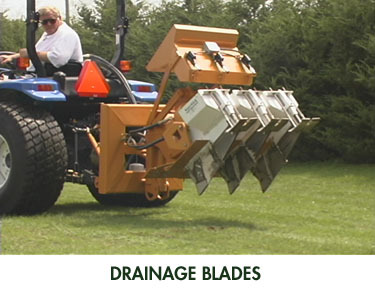 The base unit includes a vibratory plow with built-in hydraulic pump, tank and controls. 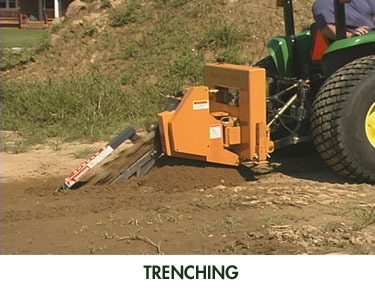 Install drainage with the patented WaterWick gravel-vein injection system. Dig trenches up to three feet deep. 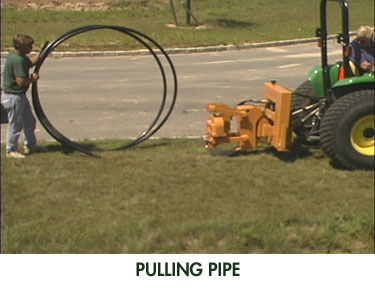 Pull pipe up to two inches in diameter at depths from 6" to 24". Bury wire and cable at depths from 12" to 24". applications with the added efficiency of using your own (35hp or greater) tractor as a power source.